The Cruck Cottage, Shieldhill Road, Torthorwald, Dumfries, Scotland, was originally constructed in the mid 18th century or thereabouts. 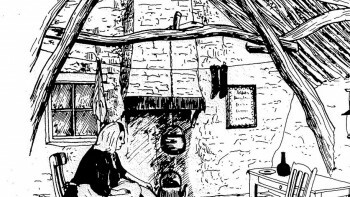 It is of the ‘cruck’ construction common at that time, i.e. the main supports consist of oak crucks or trunks, which support the roof. 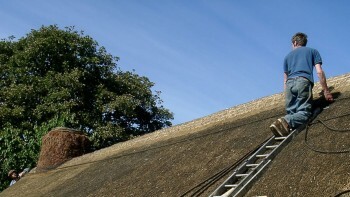 The roof consists of counter tie beams and branch rafters, laid with heather turf, and thatched with rye straw. The original walls would be of clay or turf, but are now built with rubble and lime mortar. 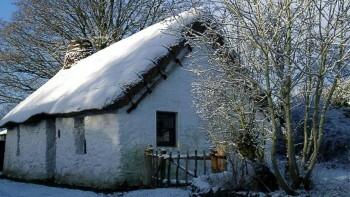 This cottage is unique to the area and is the only remaining example of this type of construction which would be common in the 18th and 19th century. 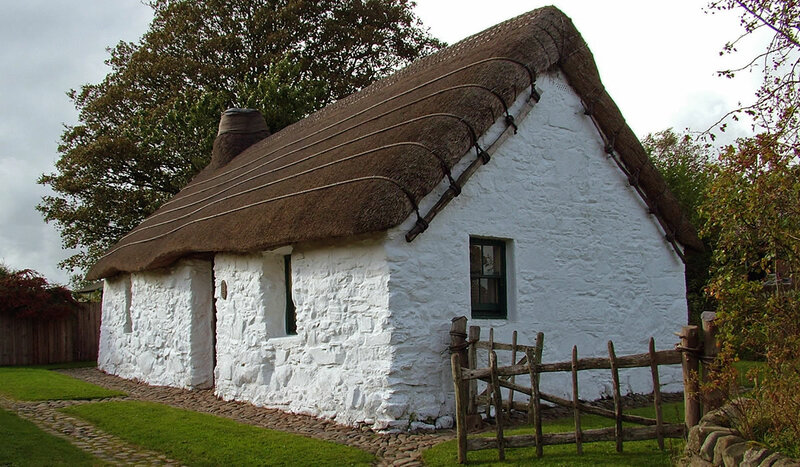 The cottage is owned by Solway Heritage and is maintained and run by the Cruck Cottage Heritage Association. It can be visited at any time of the year. The Cruck Cottage is protected by CCTV.